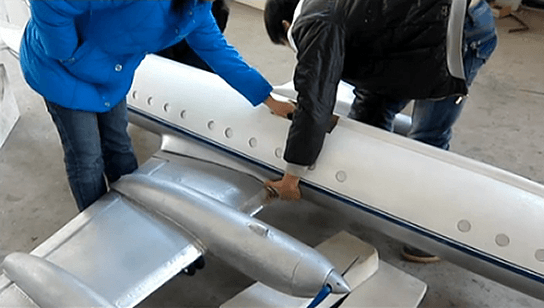 a group of radio controlled model airplane enthusiasts in China hand-built this huge radio controlled model which took them half a year from design to its maiden test flight. 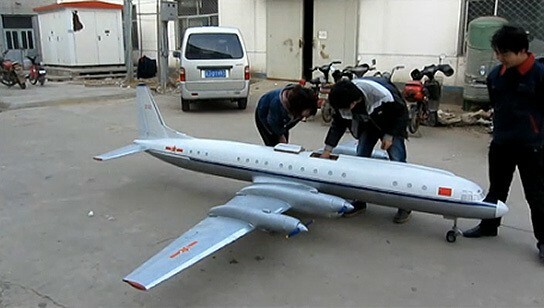 the airplane was based on the retired China Air Force “Yi Er” (or Ilyushin) IL-18 Chairman Mao’s exclusive aircraft. 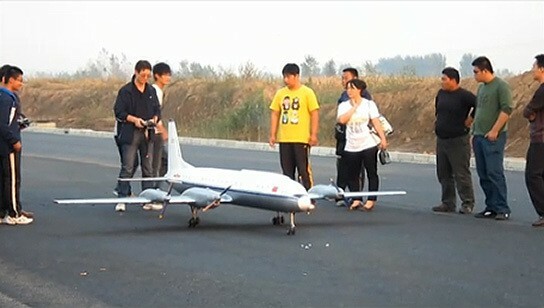 this 3.8 meters radio controlled airplane has a wingspan of 4 meters and weighs in at 25 kg. i say it is looking good and cannot help but to marvel at the work put into it. if you don’t know, the real IL-18 was a Soviet Union built passenger aircraft powdered by four Ivchenko AI-20M engines. 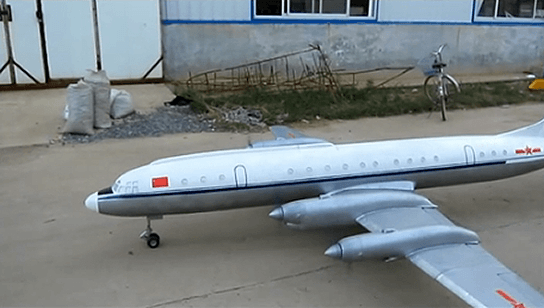 introduced in 1959, it was thought to be the most elegant airliner ever built by the former Soviet Union. 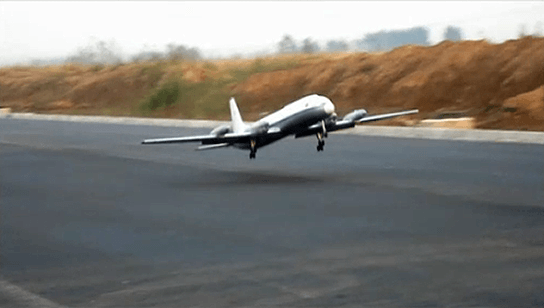 check the video of this huge radio controlled airplane maiden test flight below. i have a penchant for beautiful and sci-fi stuff. 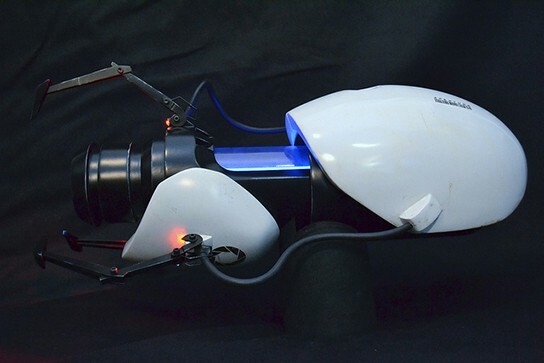 even i have not played the game Portal, i was totally captured by the Portal Gun replica by graphic designer and replica props hobbyist, Harrison Krix. i spend many hours admiring this work of art and wishing that i could be at the Child’s Play charity auction to have my bid on it. alas, it was just a dream which could not be realized. 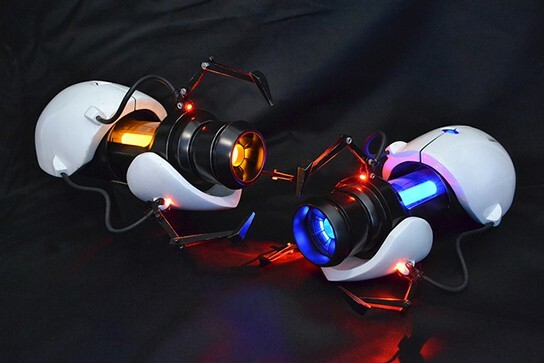 the Portal Gun, if you’re not aware, is a gun which you use to port from Orange to Blue Portal and vice versa. well, porting is still not a reality yet and hence, the replica Portal Gun won’t allow you to be ported to anywhere but as a consolation, it can “fire” both Blue and Orange lights (portal’s existence is via your own imagination). 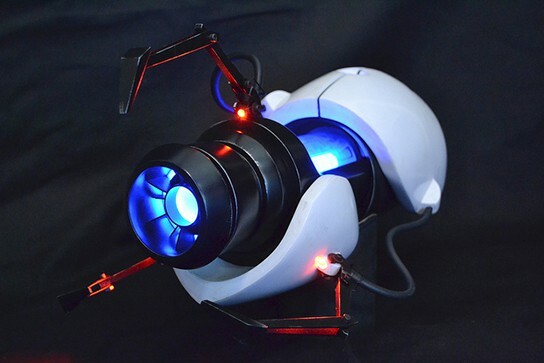 this is as close as you can get to a Portal Gun. it will be auction off in the coming Child’s Play Annual Charity Dinner Auction, to be held in Seattle on December 7th. if you’re looking at chance of getting this, i say – tough luck as the tickets for the fundraising dinner has already been sold out. now that’s not such a good news isn’t it? 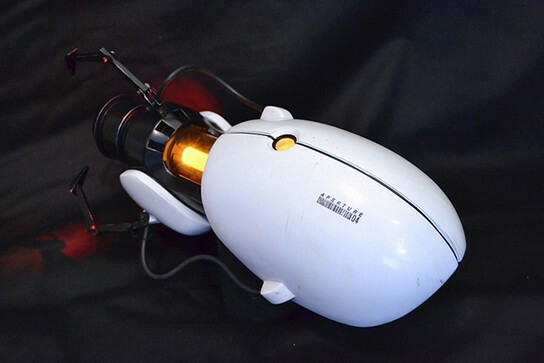 check out more pics of this awesome replica below and a video of the Portal Gun replica in action. Intel Labs Seattle has been toying with a series of techniques and Kinect-style depth cameras. among them is something called Object Aware Situated Interaction System or OASIS. 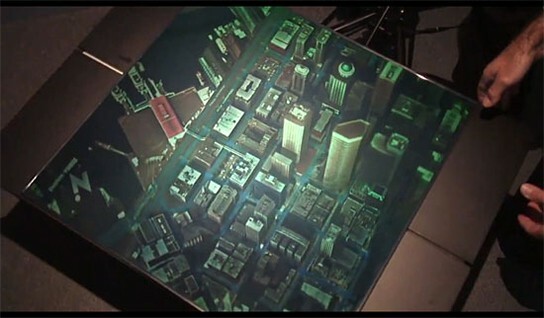 what it does is combining depth cameras with micro-projectors to enable recognition, tracking of objects and gestures. two videos were showcased using this development and the LEGO playing scenario definitely catches my eye. the system recognizes objects that are place on a table and introduce special effects relating to it via the micro-projectors. in this particular example, when a LEGO dragon is placed on the table, the system recognized it and relates fire throwing and breathing with the beast, and projects an animated image of fire spitting out from the dragon. put a LEGO house on the table, the system projects a road in front of the house, add the dragon facing the house, the system generates the same fire spitting animation and sets the house on fire. time to put out the fire before it burns the house down. rope in a LEGO fire engine, again, the system recognizes it and projects animated water onto the LEGO house, thus putting out the fire. clever. the OASIS has thus, makes imagination a think of the past when playing with LEGO. however, i thought this system would be great for puppetry-like story telling for children where the system plays out the additional animated visuals to aid the story telling when toys are used. on a second thought, would this predetermine scenario hampers a child’s imagination? or maybe adding a mind-reading/control device which translates the child’s thought into animated sequences? scary thoughts but it should at least encourage imagination in a child. admittedly, i was totally captivated by OASIS (the LEGO scenario, to be specific) and can’t stop thinking about its potential. if only if the projections are in holographic 3D…. check out the video below. trust me, you won’t want to miss this. while automobiles of the yesteryear are making a come back with modern technologies, toys are not missing out the resurrection party either. 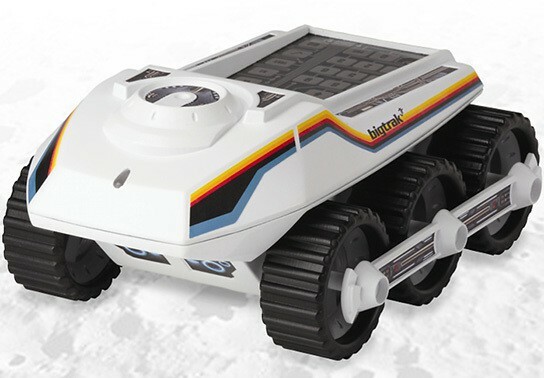 now get ready for BigTrak Junior – a compact (almost) palm-size brother of the original BigTrak from the 80s. yes, there are more to 80s than just shoulder pads. when personal computer was just at its infancy (in the 80s), a toy with the ability to be programed was a big thing and i bet it still stands true today. take it as a budget alternative to LEGO Mindstorms. the BigTrak Jr has inherited the programming ability of the senior BigTrak plus some functions from the 21st century thrown in for good measures. to operate, simply punched in the desired commands, hit ‘GO’ and witness the BigTrak executes the sequence autonomously. this six-wheeler space rover can travel forwards, backwards, turn left and right. 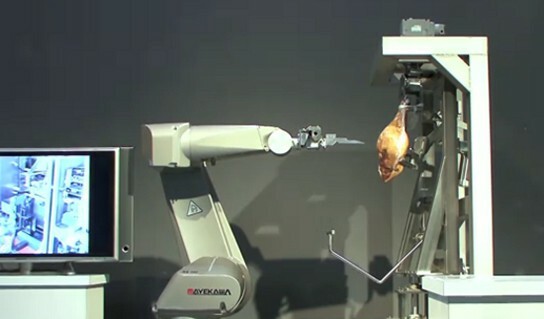 you can even program it to fire its ‘photo’ cannon while its executing its tour of duty. there are a couple of 21st century technologies thrown in such as the memory save function which allows you to write and save the program for future use. there is also an unique ‘active’ accessory port allowing it to utilize a number of add-on accessories (coming soon in 2011) to carry out its mission. some of the planned accessories include webcam and foam rocket launcher. sounds like quite a load of fun. soon BigTrak can do more than just patrolling round the supplied ‘moon crater’ obstacles but ‘transform’ into either a reconnaissance vehicle or an mobile artillery unit. i would love to see a BigTrak as Radio Control vehicle plus the webcam and foam rocket launching ability. how about a gyroscope built-in to enable firing on the move? nah… i am just kidding but it will be good to have, isn’t it? sometime, the simplest things should also deserve some form of innovation. hence, even the simplest chores should deserve an update in the way it has always been done. this is what GoBagger aims to do: change the way how we bag our sands. traditionally, filling of sandbag requires at least two person – one person holds the empty sandbag, and the other shovels the sand into the bag. sounds simple enough but what if we could speed up the process by, say, five times? GoBagger does exactly that and all it takes is one man to do the job that quickly. the concept is simple: a scoop-like device with a handle upfront, a mouth (entrance), a back handle and an exit. the user use one hand to hold the front handle, while the other hand holds the back handle with the sandbag tucked in place. with a scooping down action, the mouth of the device receives the sands and the upward swing action, throws the sands back through the exit and into the sandbag. simple and quick action. 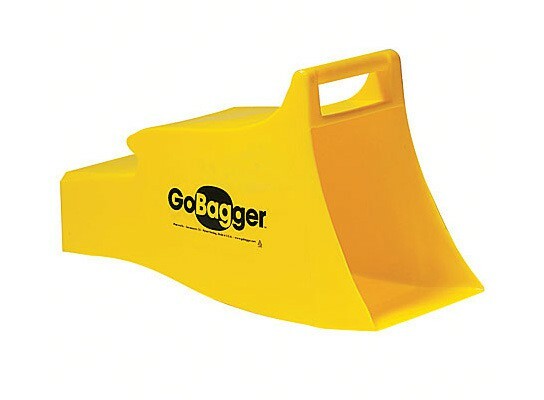 depending the size of the sandbag, and the user’s scooping action, one scoop with the GoBagger could be enough to fill a single bag. well, why we didn’t think of that? constructed out of low-density polyethylene, the GoBagger weighs in at just 1.9 kg which makes it easy to transport around. on top of that, the nature of its design enables several of the GoBagger to be “stacked” together for easy storage and transportation. according to GoBagger, the traditional way of sandbag-filling can produced 85-90 bags an hour, but with the GoBagger, the same two person can churn out 480 bags in an hour. this is THE model for efficiency. we simply love innovation.